Sen. Daines shuts down Sen. Warren and votes to confirm Betsy DeVos. Will the special congressional election be a mail-only affair? 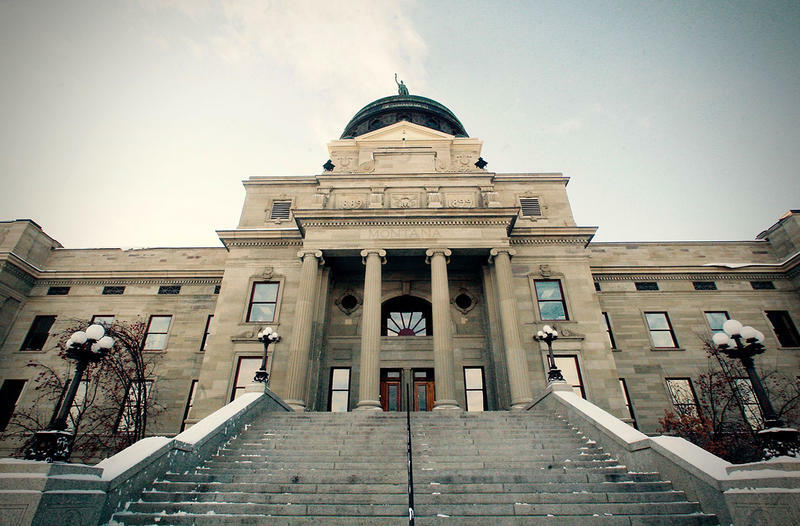 A death penalty repeal bill narrowly fails at the Montana Legislature. Join MTPR's Sally Mauk and UM Political Science Professor Rob Saldin for analysis of these stories on "Capitol Talk," your weekly legislative analysis program. This week, Congressman Ryan Zinke had his confirmation hearing this past week to become the next Secretary of the Interior. Assuming that Zinke is confirmed, Gov. Bullock will soon call a special election to fill Zinke's Congressional seat. Republican Ken Miller is the latest new candidate for this position. Part of this week's conversation also includes a proposed bill that would set up long-term financing for future infrastructure projects by using coal tax money, and several bills aiming to update Montana's sexual assault statutes. Lastly, the hosts discuss the women's marches taking place across the country the day after Trump's inauguration and whether this is the start of a long-term movement. Join Sally Mauk, Chuck Johnson, and Rob Saldin now for this episode of "Capitol Talk." State lawmakers consider big budget cuts this session, including $93 million in cuts for the Department of Health and Human Services. The Montana Legislature begins preparations for the possible repeal of the Affordable Care Act, and two familiar names are circulating for the special election to fill Ryan Zinke’s congressional seat — Gianforte and Baucus.